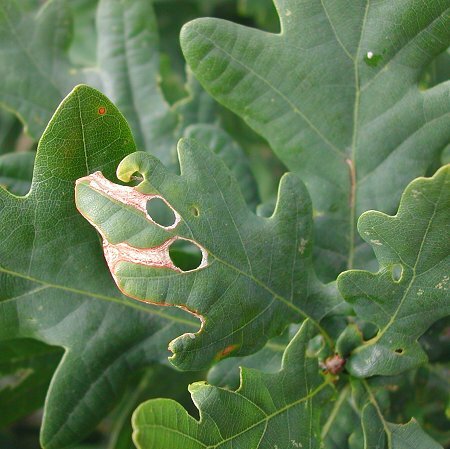 Notes: A gallery along the edge of the leaf leading to a circular blotch, from which a case is cut leaving a round hole. (Formerly called Rhynchaenus (Orchestes) avellanae). Two mines are illustrated.